Guwahati, Apr 16 : The ministry of home affairs is waiting for the opinion of the Arunachal Pradesh government before reviewing its decision on extending the Armed Forces Special Powers Act (AFSPA) to the bordering district of Arunachal. Disclosing that the frontier state was slowly turning out to be a safe sanctuary for many insurgent groups of Assam, security sources in the home ministry told this newspaper that it was done to rescue the peaceful districts of the frontier state from getting into the grip of insurgent activities. Indicating that protest against the AFSPA in the frontier state was more political in nature, security sources said that many civil society groups of the frontier states had expressed deep concern over the growing activities of Naga rebels, forcing Arunachalee youth to take up arms. Admitting that initially activity of the armed rebel groups was restricted to Tirap, Changlang and Longding districts, security sources said that insurgent groups have started spreading their activities across the state. 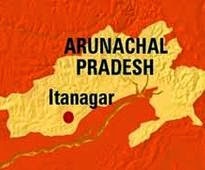 In fact, the NDFB and Ulfa rebels were reported to have been serving extortion notices to Arunachal politicians, security sources said, adding that Arunachal Pradesh has also failed in strengthening the state police forces to take on heavily-armed insurgent groups. Asserting that the AFSPA was extended to bordering districts of Arunachal Pradesh in order to enable security forces to chase and arrest insurgents crossing over from Assam to Arunachal Pradesh, security sources, however, said that in view of the protest of Arunachal Pradesh chief minister Nabam Tuki and home minister Tanga Byaling, the ministry is ready to review its decision. “We are waiting for the opinion of Arunachal government in writing. If they are confident to handle the situation emerging in the frontier state, Centre may withdraw its order extending AFSPA in 12 bordering districts,” said a senior home ministry official.